The Royal Australian Air Force Association Aviation Heritage Museum of Western Australia is widely recognised as one of the best of its kind in Australia and indeed, the world. 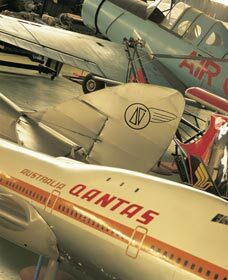 Tracing its origins back to 1959, the Museum draws its purpose from its parent body, the RAAF Association 'to foster aviation in every possible way to preserve our nation�s proud aviation heritage�. Concentrating on Australian and West Australian aviation history the Museum houses more than 30 aircraft, pride of place goes to the Avro Lancaster, one of only 17 left in the world today. Other aircraft in the Museum�s collection include a late model Spitfire, two Tiger Moths and a replica Bristol Tourer, the first aircraft to fly commercial flights in Australia. 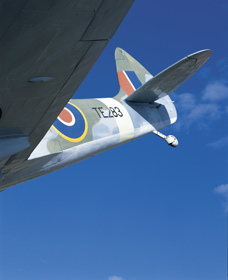 In addition the Aviation Heritage Museum has built up an extensive collection of documentary, photographic and other research resources over the 25 years it has existed. They are used by Museum staff in preparing displays and publications and are available by appointment to those researching aviation histories. 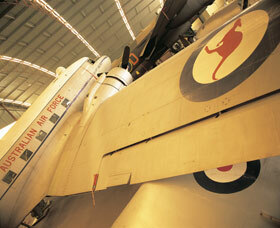 The Aviation Heritage Museum is located in Bull Creek, a 20 minute drive south of Perth.